Our second SoHo location offers a curated edit of our latest collection, handpicked by our Creative Director. 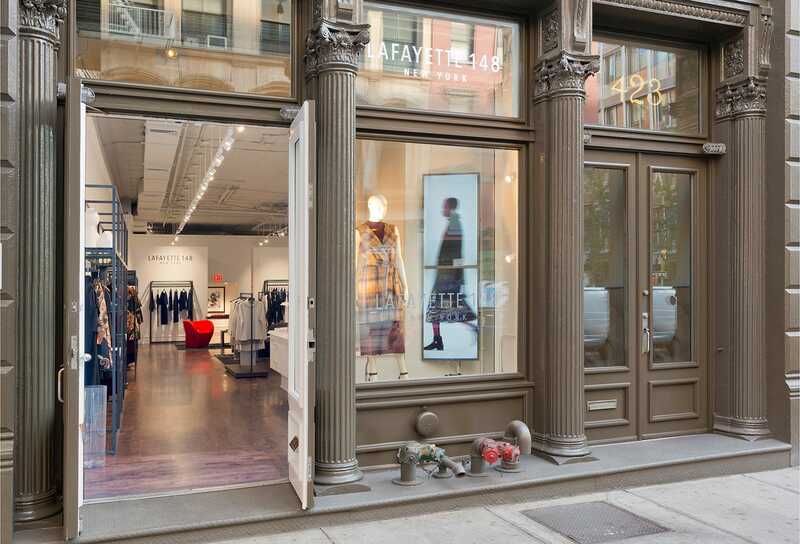 Set in a landmarked cast iron building, the Broome Street store invites guests to browse at their leisure, enjoy private fittings, and work one-on-one with a Personal Stylist to update their wardrobe or find the perfect special-occasion piece. Along with exceptional service, shoppers also enjoy complimentary alterations, refreshments and more. Monday through Wednesday 11:00AM - 6:00PM. Thursday through Saturday 11:00AM - 7:00PM. The Broome Street Lafayette 148 NY store will be closed for Easter, Sunday, April 21st.